Welcome to Day 1103 of our Wisdom-Trek, and thank you for joining me. Hello, my friend, I am Guthrie Chamberlain, your captain on our journey to increase wisdom and create a living legacy. Thank you for joining us today as we explore wisdom on our 2nd millennium of podcasts. This is Day 1103 of our trek, and it is time for our Philosophy Friday series. Each Friday we will ponder some of the basic truths and mysteries of life and how they can impact us in creating our living legacy. As we continue on this trek called life, sometimes we have questions about life, so our Friday trek is a time when we can “Ask Gramps.” Gramps will answer questions that you would like to ask your dad or granddad, but for whatever reason, this is not possible. No matter how old we are, I know that all of us would like the opportunity to ask Dad or Gramps questions about life in many areas. “Hey, Gramps, why is it so important to be honest in everything that we do? As I am creating this podcast, we are out of town watching our grandson, so time has been limited. So to answer this question today, I will read a short story that will provide a practical example of why it is so important to be honest at all times. The story is called A Pound of Butter. 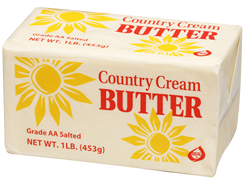 Sam was a dairy farmer who made butter from the cream. 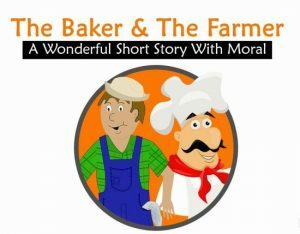 Every week Sam would sell a pound of butter to John the Baker. On the flip side of this John, the baker, would sell Sam, the farmer, a one pound loaf of bread each week. One day John the baker decided to weigh the butter to see if he was getting the right amount, which he wasn’t. John became very angry about this, so he took Sam to court. Moral of the story: In life, you get what you give. Don’t try and cheat others. “If you are faithful in little things, you will be faithful in large ones. But if you are dishonest in little things, you won’t be honest with greater responsibilities. Join us again next Friday for another question on our “Ask Gramps” episode. Our next trek is Mediation Monday where we will help you reflect on what is most important in life. So encourage your friends and family to join us and then come along on Monday for another day of our Wisdom-Trek, Creating a Legacy. If you would like to listen to any of the past 1102 daily treks or read the associated journals, they are all available at Wisdom-Trek.com. I encourage you to subscribe to Wisdom-Trek on your favorite podcast player so each day will be downloaded to you automatically. Welcome to Day 1098 of our Wisdom-Trek, and thank you for joining me. Hello, my friend, I am Guthrie Chamberlain, your captain on our journey to increase wisdom and create a living legacy. Thank you for joining us today as we explore wisdom on our 2nd millennium of podcasts. This is Day 1098 of our trek, and it is time for our Philosophy Friday series. Each Friday we ponder some of the basic truths and mysteries of life, and how they can impact us in creating our living legacy. As we continue on this trek called life, sometimes we have questions about life, so our Friday trek is a time when we can “Ask Gramps.” Gramps will answer questions that you would like to ask your dad or granddad, but for whatever reason are unable to. 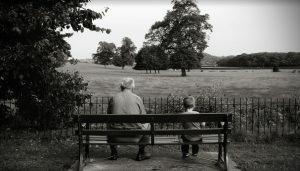 No matter how old we are, I know that all of us would like the opportunity to ask Dad or Gramps questions about life in many areas. We may mix it up a bit on our Friday episodes, but will strive to keep them down to earth and enjoyable. If you have any questions that you would like to ask Gramps, please email them to guthrie@wisdom-trek.com. The theme of this podcast from the very beginning has been to “Create a Living Legacy.” From my very core, this is what drives me. I feel that we all have a Biblical mandate to live a life that is today, and will continue to be, a living legacy. Not to bring attention to ourselves, but to bring glory to God and to further His Kingdom on earth. “Hey, Gramps, why is creating a living legacy so important, and can you provide us with an illustration of what this means in practical terms? 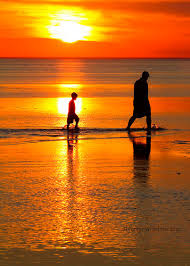 I will turn 63 in August of this year, and the older I get, the more important it is to me to live in such a way that my children, grandchildren, friends, and others who may observe my life will have a positive role model and example which they can follow. A life lived in such a way that others will see and understand how important it is to live a good and godly life each day. 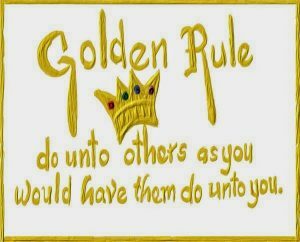 As an illustration of this philosophy, today I will read a poem that our oldest son, who is now 38, received as a gift. 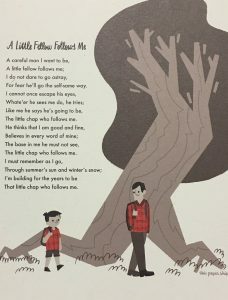 Although our five children are all over 30 now and have families of their own, this poem still reflects how I desire to live for my children, and also now for our seven grandchildren. .Listen to this poem, and apply it to your life, regardless of your situation, and live in such a way that you will have an opportunity to positively impact all you come in contact with. For fear, he’ll go the self-same way. This little chap who follows me. That little chap who follows me. If you would like to listen to any of the past 1097 daily treks or read the associated journals, they are all available at Wisdom-Trek.com. I encourage you to subscribe to Wisdom-Trek on your favorite podcast player so each day will be downloaded to you automatically. Welcome to Day 1093 of our Wisdom-Trek, and thank you for joining me. Hello, my friend, I am Guthrie Chamberlain, your captain on our journey to increase wisdom and create a living legacy. Thank you for joining us today as we explore wisdom on our 2nd millennium of podcasts. This is Day 1093 of our trek, and it is time for our Philosophy Friday series. Each Friday we ponder some of the basic truths and mysteries of life and how they can impact us in creating our living legacy. As we continue on this trek called life, sometimes we have questions about life, so our Friday trek is a time when we can “Ask Gramps.” Gramps will answer questions that you would like to ask your dad or granddad, but for whatever reason, this is not possible. 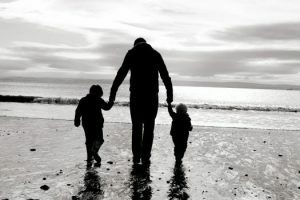 No matter how old we are, I know that all of us would like the opportunity to ask dad or gramps questions about life in many areas. We may mix it up a bit on our Friday episodes, but we will strive to keep them down to earth and enjoyable. If you have any questions that you would like to ask Gramps, please email them to guthrie@wisdom-trek.com. 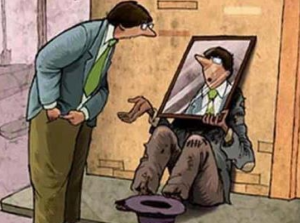 We often wonder how best to help others, but are often hesitant when other people look like they have caused their own problems by the choices we make. The fact is that we don’t know what others are struggling with and need to be very careful about judging others and more willing to help. “Love your neighbor as yourself” is a commandment of Scripture but is sometimes difficult to interpret. How far does our obligation go? After all, who is our neighbor? Most of us don’t even know our literal neighbors! How can we love them? 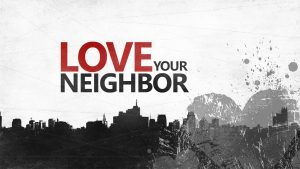 What do these words really mean, “to love our neighbor”? Listen to this tale that I came across recently, and decipher for yourself! Early one evening, Jim, a very successful young businessman, took his new Mercedes XLR to the mall to buy his girlfriend a Christmas present. Jim saw on his GPS that his usual route was closed off, so he decided to chance it and go through the crazy-dangerous area of downtown to get there. Jim figured it was a better choice than having to go all the way around the city, thus adding two hours to his journey. Well, the area he had to cut through was in the north end of the city, which was known for its gang warfare and biker bars. What Jim did not realize is that he had chosen the completely wrong time to go through as young gang members started to gather for their nightly escapades, and certain young ladies went outside to claim their piece of the sidewalk for their nightly business of selling themselves. At a red light, Jim stopped and found himself in the middle of a gang war. The gang member from one group took a shot at his enemy across the street, and Jim in his Mercedes was the unfortunate barrier between them. The bullet barely grazed his shoulder, but it started to bleed quite a bit, he cried out loudly in sharp pain. Carefully he managed to pull over and stop the car. Jim got out of the car, intending to go get help, but in his weakened state attracted the wrong kind of attention. A couple thugs looking for some quick drug money noticed his stupor, and decided it would be easier to rough him up, than try to break into a store. They also noticed his car keys were left in the car, and the car running close by, and put the two and two together. Soon, he was out of a car, his cell phone, and his wallet. They left him there battered, bruised, and still bleeding. By the time the thugs drove off, Jim was in rough shape and lay smashed and dirty on the sidewalk. Jim managed to pull himself over to the edge of a building and lay there for what seemed like hours, but was only a few minutes. Jim was thrilled when he looked up and saw a pastor from a local church walk by. “Help me, Pastor!” he cried out feebly, but the pastor crossed over the other side of the sidewalk and did not even look his way. The pastor did not usually walk this way, but he was on his way to a board meeting for all the churches in his district. Unfortunately, it was in one of the rougher areas of town, and the pastor really wasn’t comfortable in this environment. The pastor wished he had been able to find parking closer, but he had been forced to walk several blocks to his destination. About a half hour later, a very frequent church-going lady walked by in a rush. She was carrying a Bible, and the Jim thought for sure she would help him. He tried to call out to her, but she did not help. Instead, she put her nose in the air and quickly walked away in horror and disgust. The woman had lived on that street for years and had seen everything decline in the last decade. What had once been a hard-working, respectable part of town was now overrun by hookers, pimps, and drug addicts. Every day, she heard of more horrors on the nightly news, and it made her sick. She had once been proud to live here, but now she lived in fear. When she heard the young man call out to her, she was sure he would be begging for money to buy some more booze. She was tired of being lambasted by these welfare-dependent bums. She looked at him in disgust and anger at the way the country was going. She hurried home to her little apartment, safe with bars on the windows and a good security system. She knew she shouldn’t have gone out so late in the afternoon. The man, who was dressed as a biker, parked his Harley-Davidson and decided to hoof it to the bar where he was going to relax for a few hours. He had had a hard week at the mill and was looking forward to forgetting his troubles with some good friends. Later, the biker thought he would grab a cab and pick up his bike in the morning. No one on the street would dare to touch it. 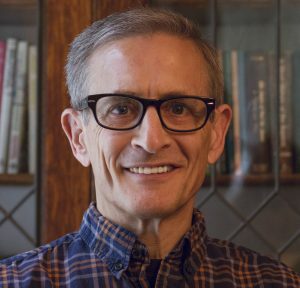 · Who Is Your Neighbor? Three people passed by our young man and saw three different things. One saw a dangerous drunk, another saw a lazy bum, and one saw a person that needed help. Who was the one that helped his neighbor? It is said, love your neighbor as yourself. Who is your neighbor? Think about this tale and discover for yourself. 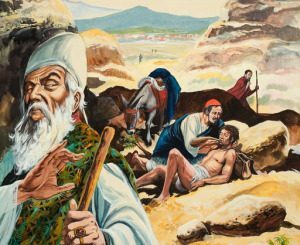 Jesus replied with a story: “A Jewish man was traveling from Jerusalem down to Jericho, and he was attacked by bandits. They stripped him of his clothes, beat him up, and left him half dead beside the road. “By chance, a priest came along. But when he saw the man lying there, he crossed to the other side of the road and passed him by. A Temple assistant walked over and looked at him lying there, but he also passed by on the other side. Join us again next Friday for another question on our “Ask Gramps” episode. Our next trek is Mediation Monday when we will help you reflect on what is most important in life. So encourage your friends and family to join us and then come along on Monday for another day of Wisdom-Trek, Creating a Legacy. If you would like to listen to any of the past 1092 daily treks or read the associated journals, they are all available at Wisdom-Trek.com. I encourage you to subscribe to Wisdom-Trek on your favorite podcast player so each day will be downloaded to you automatically. Welcome to Day 1088 of our Wisdom-Trek, and thank you for joining me. Hello, my friend, I am Guthrie Chamberlain, your captain on our journey to increase wisdom and create a living legacy. Thank you for joining us today as we explore wisdom on our 2nd millennium of podcasts. This is Day 1088 of our trek, and it is time for our Philosophy Friday series. Each Friday we will ponder some of the basic truths and mysteries of life and how they can impact us in creating our living legacy. As we continue on this trek called life, sometimes we have questions about life, so our Friday trek is a time when we can “Ask Gramps.” Gramps will answer questions that you would like to ask your dad or granddad but for whatever reason are unable to. No matter how old we are, I know that all of us would like the opportunity to ask Dad or Gramps questions about life in many areas. Events and circumstances that happen to us in life are not always as they appear on the surface, and certainly may not be what they appear to others. We need to keep this in mind and not jump to conclusions for ourselves or others. There have been many situations in our lives that at the time seemed devastating, but as we look back at them, we know that it was within God’s plan for our lives and have shaped us into the people that we are today. Situations like my mom dying much sooner than we would have liked, a business failure that was financially devastating, our granddaughter being diagnosed with leukemia…There are many more, but I think the story that I read of “The Carpenter’s Wisdom” teaches us a valuable lesson that we all need to learn. Once upon a time, there was an old man who lived in a tiny village. Although poor, he was envied by all, for he owned a beautiful white horse. Even the king coveted his treasure. A horse like this had never been seen before—such was its splendor, its majesty, its strength. People offered fabulous prices for the steed, but the old man always refused. “This horse is not a horse to me,” he would tell them. “It is a person. How could you sell a person? He is a friend, not a possession. How could you sell a friend?” The man was poor, and the temptation was great. But he never sold the horse. The people of the village laughed. They thought that the man was crazy. They had always thought he was a fool; if he wasn’t, he would have sold the horse and lived off the money. 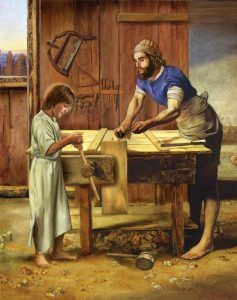 But instead, he was a poor carpenter, an old man still cutting wood and dragging it out of the forest and selling it. He lived hand to mouth in the misery of poverty. 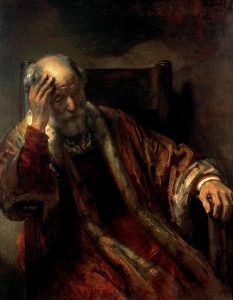 Now he had proven that he was, indeed, a fool. The man responded, “Once again, you go too far. Say only that the horse is back. State only that a dozen horses returned with him, but don’t judge. How do you know if this is a blessing or not? You see only a fragment. Unless you know the whole story, how can you judge? You read only one page of a book. Can you judge the whole book? You read only one word of a phrase. Can you understand the entire phrase? “Maybe the old man is right,” they said to one another. So they said little. But down deep, they knew he was wrong. They knew it was a blessing. Twelve wild horses had returned with one horse. With a little bit of work, the animals could be broken and trained and sold for much money. The old man had a son, an only son. The young man began to break the wild horses. After a few days, he fell from one of the horses and broke both legs. Once again the villagers gathered around the old man and cast their judgments. It so happened that a few weeks later the country engaged in a war against a neighboring country. All the young men of the village were required to join the army. Only the son of the old man was excluded, because he was injured. Once again the people gathered around the old man, crying and screaming because their sons had been taken. There was little chance that they would return. The enemy was strong, and the war would be a losing struggle. They would never see their sons again. As we conclude this story, we realize that the old man was right. We only have a fragment. 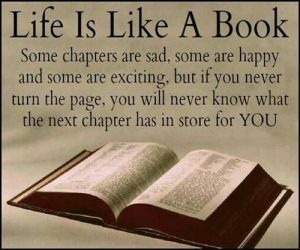 Life’s mishaps and horrors are only a page out of a grand book. We must be slow about drawing conclusions. We must reserve judgment on life’s storms until we know the whole story. He should know. He is the Author of our story. And he has already written the final chapter. 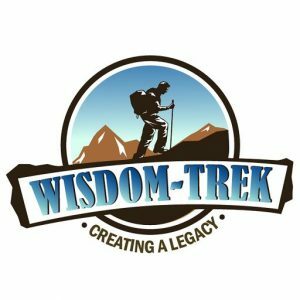 If you would like to listen to any of the past 1087 daily treks or read the associated journals, they are all available at Wisdom-Trek.com. I encourage you to subscribe to Wisdom-Trek on your favorite podcast player so each day will be downloaded to you automatically. Welcome to Day 1083 of our Wisdom-Trek, and thank you for joining me. Hello, my friend, I am Guthrie Chamberlain, your captain on our journey to increase wisdom and create a living legacy. Thank you for joining us today as we explore wisdom on our 2nd millennium of podcasts. This is Day 1083 of our trek, and it is time for our Philosophy Friday series. Each Friday we ponder some of the basic truths and mysteries of life, and how they can impact us in creating our living legacy. As we continue on this trek called life, sometimes we have questions about life, so our Friday trek is a time when we can “Ask Gramps.” Gramps will answer questions that you would like to ask your dad or granddad, but for whatever reason, are unable to. No matter how old we are, I know that all of us would like the opportunity to ask dad or gramps questions about life in many areas. Each day we are faced with a bombardment with decisions and choices that we make. It is not always easy to make sure we are making wise choices. 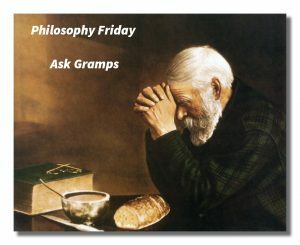 Our ‘Ask Gramps’ question is a continuation from last week so If you did not listen to last week’s Friday podcast, or read the Wisdom Journal for that day, I would suggest listening to it first. 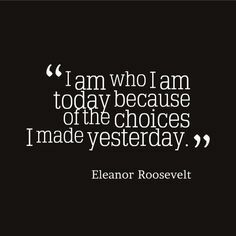 We make hundreds of choices each day. Some choices are spontaneous, and of little consequence, like the coffee mug, we choose in the morning. Other decisions carry greater weight and significance, like choosing the person we will marry. In either extreme or with any decision in between, learning how to make wise choices is an important life skill for every believer and servant of the Lord Jesus Christ. In fact, doing God’s will is really a matter of making the right choices on a consistent, daily basis. After we have invested time on our own with God to seek His will, it is helpful and wise to run our decisions and thought process by other godly people. Godly and wise counsel can help us avoid any shortsightedness or naivety and help us to consider alternative options that may exist. If we are afraid or unwilling to hear anyone else’s opinion on a matter, it could be that our motives are impure. Proverbs 18:1 tells us, “Unfriendly people care only about themselves; they lash out at common sense.” If you’re hesitant to ask the opinion of others, search your heart to understand your motives. 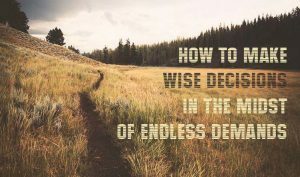 Comparing our decisions to the description of wisdom, we can ask ourselves, “Is this choice pure, peace-loving, gentle, submissive, merciful and good?” Any time we cannot answer “yes” to one of these characteristics, we need to raise a red flag. We can do a similar evaluation using any other list of Bible qualities. For example, we can decipher if our decision is loving by reviewing it against the description of love found in 1 Corinthians 13:4-7. We can evaluate whether our decision is in harmony with the Holy Spirit by analyzing it against the fruit of the Spirit listed in Galatians [5:22]-23. When we come to a place where our decision is not aligned with Scripture, we need to stop, pray, and ask God to clarify how we need to proceed forward. Our Western, rationally-minded culture highly values logic and reason. While both logic and reason have their place in making decisions, they are not to the exclusion of intuition and inclination. What may make some uncomfortable about suggesting that we use intuition or sensitivity in decision making is the fear that we will live our lives based on the fickle nature of our emotions. I am not suggesting that we do whatever we feel whenever we feel like doing it. Nor am I in any way promoting hedonism or carnality! What I am saying is that we have been wired by God with feelings and sensitivity that when guided by the Spirit of God can be a great asset in one’s decision-making process. Any man who’s been married long enough knows how this story can sadly end. He goes against his wife’s intuition, buys the car, and a week later it breaks down. Okay, so you want a biblical reference to support this phenomenon? Consider Pilate’s wife. She has a dream (more likely a nightmare) and tries to convince her husband to have nothing to do with Jesus. Matthew 27:19 tells us, “Just then, as Pilate was sitting on the judgment seat, his wife sent him this message: ‘Leave that innocent man alone. I suffered through a terrible nightmare about him last night.’” You know the rest of the story. We’d be foolish to rely solely on intuition, but just as foolish to ignore it. God desires His people to walk by faith in Him and His promises. 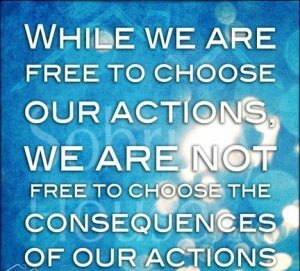 While God is able to provide us the guidance we need to make wise decisions, it is then our responsibility to carry out those actions. We may not have all the facts, figures and evidence when we move forward. Peter didn’t crack open a science book before stepping out on the water. He obeyed what the Lord told him to do by faith. Knowing what to do is good, but knowing when and how to do it is better. At times the Lord reveals his will for us, but we either move too slowly in response or too hastily. Ideally, we do God’s will in His timing (otherwise we may indeed miss His will). In fact, doing what God wants prematurely or too late can be disastrous. So how do we know we are in God’s timing? The first thing to do is to pray, “God help me to do (whatever the activity or venture) in your perfect timing.” Secondly, ask yourself and God what the next right step should be. Then simply do the next right thing. Most big decisions are made up of many other small ones on the way. If you’re planning a short-term mission trip, the first thing to do may be to write a support letter. If you’re planning to stay overseas for a considerable time, the first thing to do might be to research the country or places that you could potentially go. Also, be sensitive to how God may lead you to do what He’s called you to do. At times when we sense God telling us what to do, we too quickly start acting based on how we think it should come about instead of waiting on the Lord for his provision and plan to unfold. Again, start by praying. “God show me the way you want to accomplish this through me.” Doing things God’s way will save us time, money, and energy, not to mention the avoidance of many hassles. The wisest decisions you will ever make are those done in obedience to God. Abraham obeyed God in bringing his only son as a sacrificial offering. God faithfully brought him a sacrifice and then promised to bless Abraham’s abundantly (Genesis 22:16-18). In fact, obedience and blessings are so closely knit together they might as well be Siamese twins. For the nation of Israel, their blessings were directly tied to obedience (Deuteronomy 28:1-2). Even when it’s our heart’s desire to make wise choices and do God’s will, we will inevitably fail from time to time. Instead of beating ourselves up for our mistakes, since Jesus already took our punishment for us, we need to learn from our mistakes and failures. In order to become wise decision makers, it’s imperative to be of a moldable, teachable spirit. Any form of stubbornness or pride will prove to be the downfall of those who seek to make wise choices. When we do make mistakes, we need to confess them to the Lord asking His forgiveness and not allow the enemy to condemn us (1 John 1:9, 1 John 3:20, Romans 8:1). Let’s not forget to learn from our successes as well! I have heard it said, “God gets the glory, you get the encouragement.” That one statement really provided me with a lot of freedom. Of course, only God deserves the credit and glory (Romans 16:27), but each of us needs to humbly receive the encouragement of others, of God, and even of ourselves (1 Samuel 30:6). 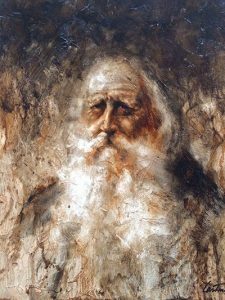 And why limit our learning to our own life experiences when there are so many others to learn from, including the hundreds of Bible characters who either blew it, made it, or both (Hebrews 12:1, Romans 15:4). As we study the Word of God, we can prayerfully ask the Lord to give us wisdom (James 1: 5) and understanding from the lives of God’s people who have gone before us. Someday, let’s hope others will look upon the story of our lives and also learn how to make wise choices that glorify God. Join us again next Friday, and we will conclude our answer on how to make wise choices on our “Ask Gramps” episode. Our next trek is Mediation Monday when we will help you reflect on what is most important in life. So encourage your friends and family to join us and then come along on Monday for another day of our Wisdom-Trek, Creating a Legacy. If you would like to listen to any of the past 1082 daily treks or read the associated journals, they are all available at Wisdom-Trek.com. I encourage you to subscribe to Wisdom-Trek on your favorite podcast player so each day will be downloaded to you automatically.